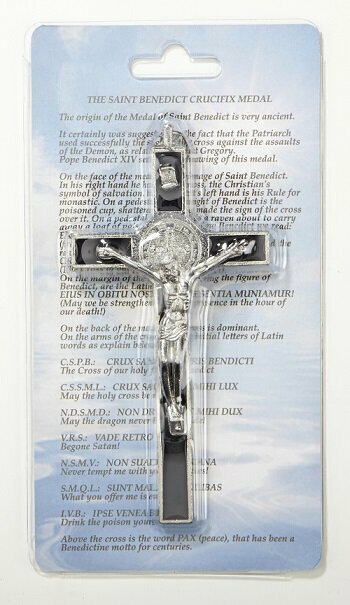 This St. Benedict crucifix is exclusively designed and exquisitely sculpted. Its ornate design features a medal containing symbols and text related to the life of Saint Benedict of Nursia. The medal is one of the oldest and most honored medals used by Christians and due to the belief in its power against evil is also known as the “devil-chasing medal”. The silver-plated corpus sits on a black enamel base. 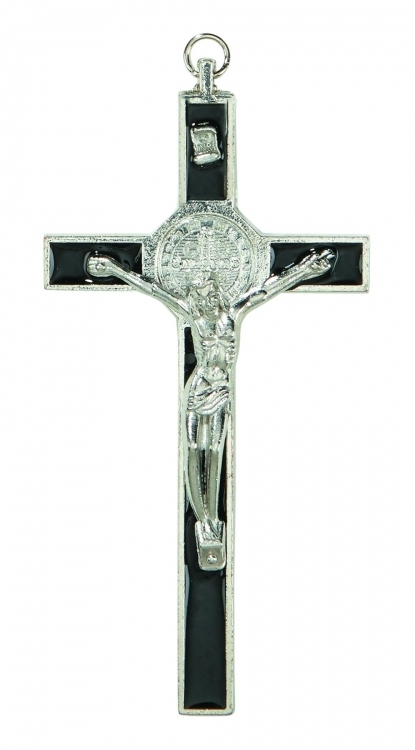 This crucifix is a must for rosary and jewelry crafters. Sold in packages of 4 each.